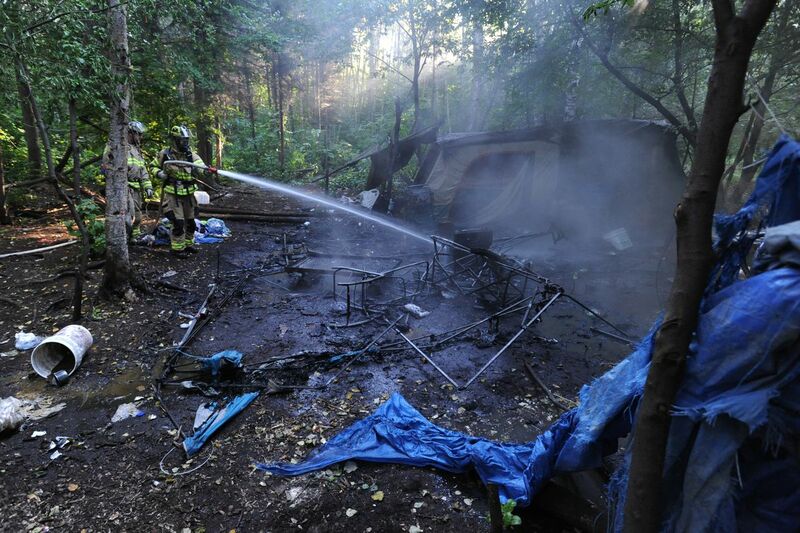 Anchorage Fire Department crews extinguished a small blaze contained to a homeless camp Wednesday morning in the woods near 16th Avenue and Cordova Street. No one was injured in the fire, which was reported by Anchorage police officers around 9:15 a.m., according to assistant chief Alex Boyd. Burning plastic and rubber created visible black smoke from the site. Less than a quarter acre was burned, Boyd said. The cause is under investigation, he said.